BRYAN EATON/Staff photo. 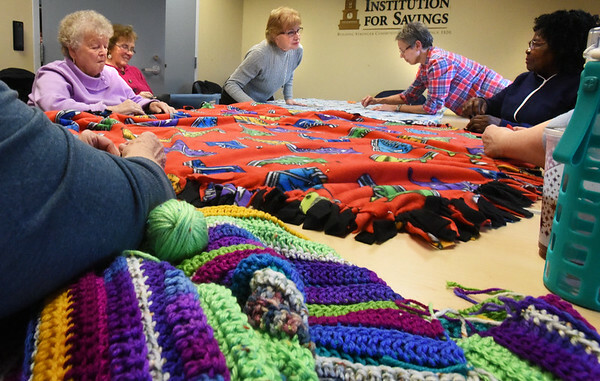 Ladies work at the Amesbury Senior Center on Blankets for Kids which are made for various recipients, including families that may be in need. They meet every Tuesday and monetary donations or those of materials are always welcome.